Only thing more exciting than going on an adventure is planning one. They say that the only thing more exciting than going on an adventure is planning one. But where to begin? 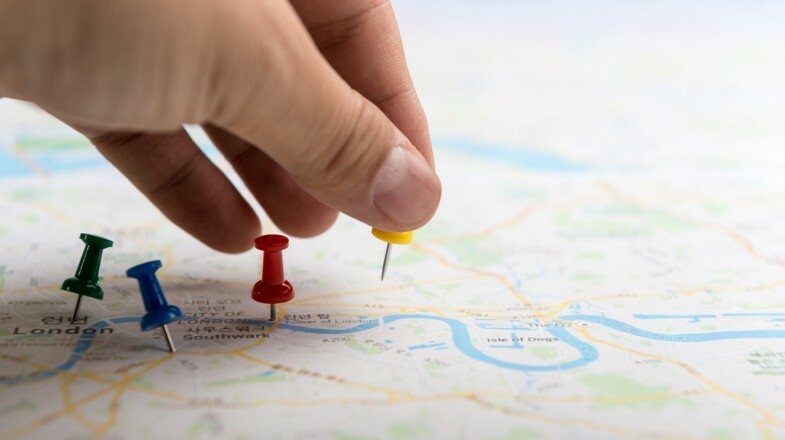 With so many options to consider and so many variables to take into account, it's not as simple as picking a point on a map and just jumping on the next plane. However, that doesn't mean it has to be difficult! 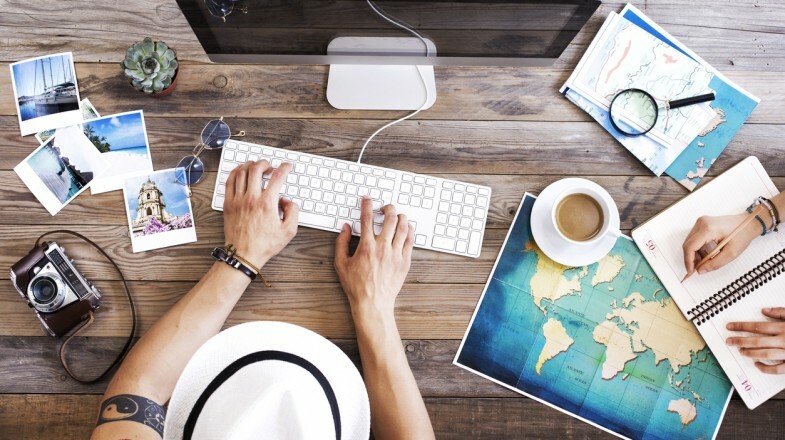 Here's our guide to planning your next trip! Arguably the most important decision to make when planning your next trip is deciding where to actually go! This will depend largely on how long you will be traveling for, what your budget is, and whether you’re looking for a city break, some beach time or something more adventurous still! Consider how long you’re traveling for and make sure your traveling time doesn’t eat too much into your trip. For a week or two, journey times of less than 7-8 hours are perfect while longer trips justify longer journeys. Don’t forget to include travel times to and from the airport, and other transfers! Be sure to check seasonal weather forecasts, as this is not the same around the world. For example, while Europe is in the depths of winter, South Asia is basking in its peak tourist season! If budget is a consideration for your trip, shoulder season can be a great way of balancing good conditions with lower prices. Think about whom you are taking with you, as it's important that there is something for everyone to enjoy. Beach breaks, for example, can be enjoyed by couples or groups alike, while solo travelers may prefer city breaks or adventure tours where there is more interaction with other travelers. And, of course, make sure you select a destination where you can enjoy yourself within your budget! While, for example, it’s easy to enjoy Thailand on virtually any budget, the Maldives is going to drain the bank account no matter what! Regardless of what your actual budget is, it's important to understand what your trip will cost, and how to get maximum bang for your buck. Many destinations offer a range of options to suit all pockets, and going armed with as much information as possible will help you to make smart decisions on the ground, and keep your trip on budget. The first rule of budgeting for a trip is to be realistic. While it’s easy to sit at home and say that you’re not going to go out for drinks or eat at nice restaurants, the reality when you arrive is often very different. Rather than punishing yourself with a tough budget, allow for some ‘fun money’ so you don’t have to feel guilty! Accommodation, meals and transport costs are all important things to consider when budgeting, and the internet makes it easy to get an idea of costs at your destination. Just don’t forget to allow for all the things that will make your trip special, too, such as attraction entrance fees, tour guides and day trips. After all, that’s what you’ve come here to do! Consider booking some things well in advance to keep costs down. Flights, accommodation and even some tours can often be booked at huge discounts months ahead on time (or very last minute), freeing up budget for other things. Just remember that in many destinations, particularly in Asia, it's nearly always possible to negotiate a discount once you arrive — so do some research and find the perfect balance for you. 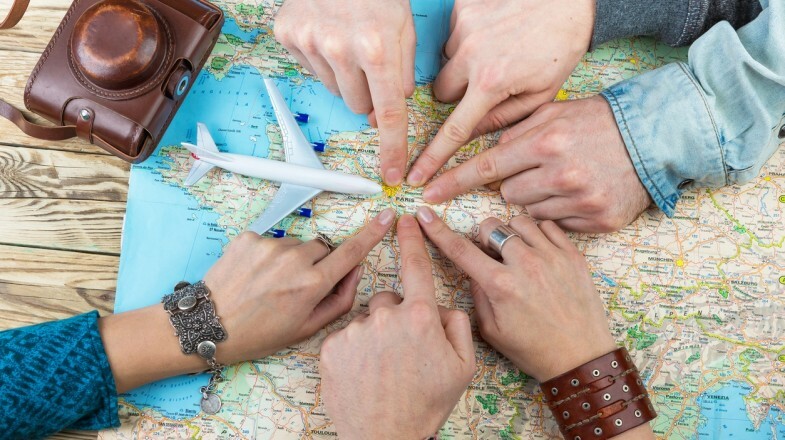 Check out this article on Travel Hacks and Tips to learn how to get the best flight prices. 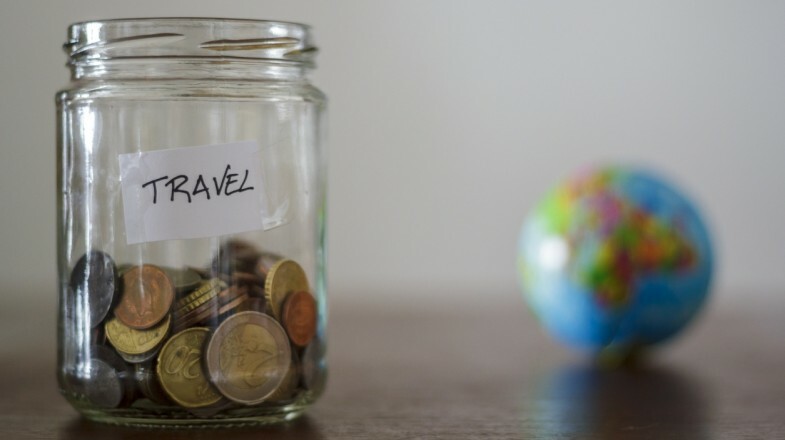 Finally, don’t forget the nitty-gritty when budgeting your trip. 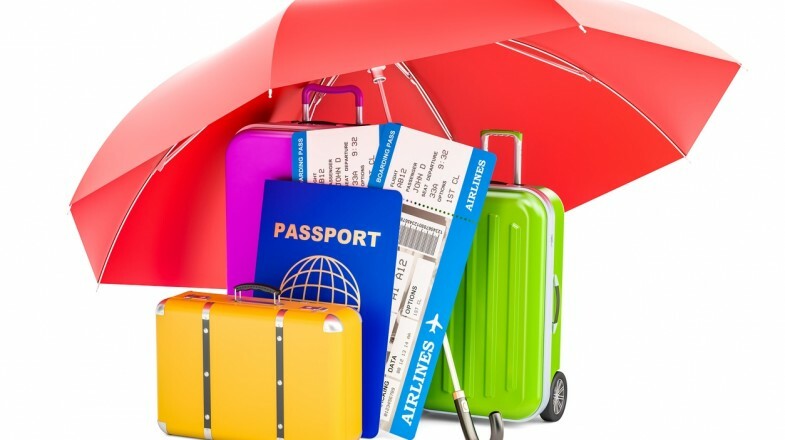 While visas, travel insurance and the likes may not add much fun to your trip, they are essential and, unfortunately, do cost money. For example, a one month visa for China can cost almost USD 150*. While not the most glamorous aspect of planning a trip, getting your paperwork up to speed well ahead of departure is an essential part of planning a successful trip. Can you imagine turning up at the airport on departure day, only to be refused check-in because your visa isn't correct? Don't be that person! Start with the basics by ensuring your passport, driving licence and so forth are still valid. 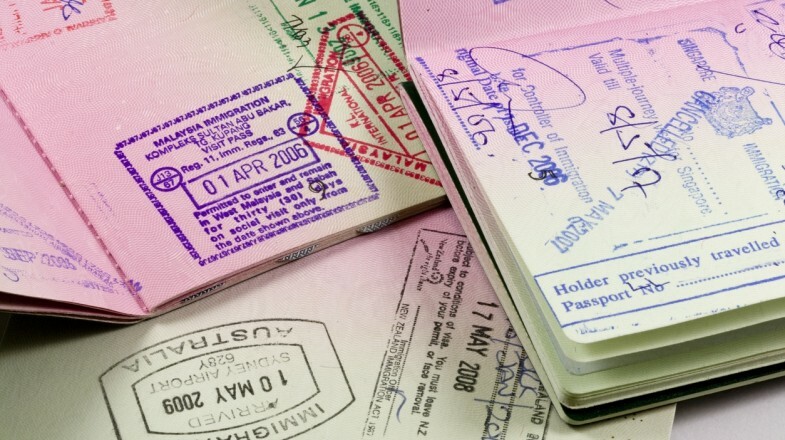 Many countries insist on a minimum of 6 months of validity left on your travel documents, so check ahead with that country’s embassy if your passport is due to expire soon. Many countries require you to obtain a visa in advance, which can take weeks if not months to obtain. Some can be obtained online, while others may require a visit to the embassy of your destination country. Agencies can be a good option if you’re short on time, although they can be expensive. If you’re planning on driving abroad, an International Driver’s Permit will be useful, particularly if your national license is not in English. Consider scanning or taking photos of all your vital documents and storing them in multiple locations as a backup. Having a WhatsApp group with a partner to store all passport, flight and insurance details for fast and easy access can work quite well. Whether you’re planning to be away for a weekend, 6 months or more, you'll want to get the most out of whatever time you have available. Admittedly, there's a lot to be said for ‘free-wheeling' and making it up as you go along, but having at least a rough itinerary will mean you don't miss out on anything big! It may seem a little ‘geeky', but a simple spreadsheet outlining where you plan to visit and sleep on each day, along with any travel arrangements, can be a great way of keeping yourself on track. Be realistic when accounting for travel time. Journeys from A to B in Europe may take a few hours, while in Australia it could be a full day’s travel. Remember to include travel time to and from airports and train stations, as well as check-in and security time. Prioritise what you want to see and do in each location, and set aside plenty of time to enjoy these to the max. There’s nothing worse than having to rush or even cut short an amazing experience because you’ve tried to fit too much in. Finally, be sure to factor in plenty of ‘down time’ — you’re on holiday, after all! A big part of traveling is the journey — and I don't just mean the experience of traveling around. There are a lot of practical considerations to bear in mind when choosing transport for your trip. While those on long trips with low budgets may favour buses and trains, flying can allow you to cover vast distances in short times — albeit at a price. Huge distances can be covered quickly by flying, although the cost is usually higher than surface transportation, and you may not get the same ‘traveling’ experience. Kayak.com is a powerful and easy-to-use platform for finding your perfect flight. Buses and trains vary massively from region to region, although are usually a cheap and reliable way of getting around. By traveling as the locals do, you also immerse yourself fully in the life and culture of your destination and have the chance to meet some truly amazing people. Websites such as seat61.com, rome2rio.com, loco2.com or 12go.asia will be your best friends! If time and budget are an issue, consider traveling overnight where possible. Sleeper trains and buses often have surprisingly comfortable bunks, getting you where you want to go while you sleep. Plus, you save the cost of one night's accommodation! Just remember to use common sense precautions to keep you and your possessions safe! When arranging transport, technology is your friend! 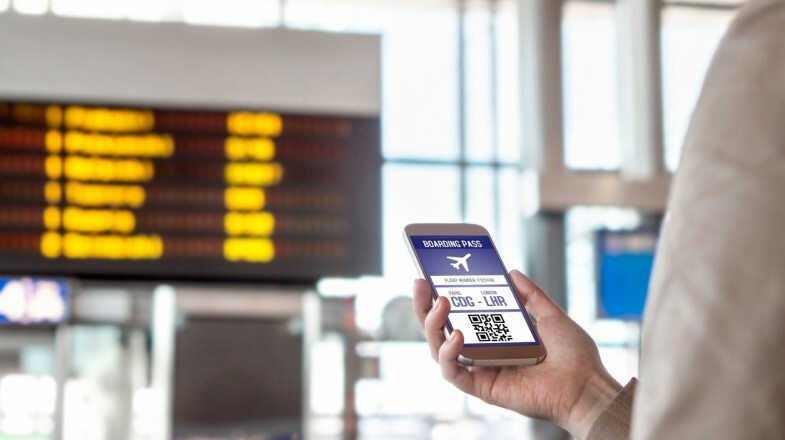 Flight, train and bus booking apps make booking tickets a breeze, while taxi apps such as Uber or Grab are perfect for getting a ride in a new destination with no risk of being ripped off by merciless touts! After a long day of traveling and sightseeing, getting a good night’s sleep is important to make sure you stay refreshed and continue to enjoy your trip. Whether you’re looking for budget dorm beds or luxury hotels, there are more tools than ever at your disposal to find the bed of your dreams. Pun intended. Your budget will largely dictate whether you’re are staying in basic backpacker dorm rooms or plush 5-star hotels. Either way, hotel booking sites and apps are a great way to find, compare and book your accommodation in advance. Many offer great deals and discounts, so it’s worth comparing a few options. If every penny counts and you enjoy a little adventure, great deals can be had by simply turning up at hotels once you arrive and seeing what they can offer — you'll be amazed at the discounts to be had. It is possible to bag a stunning western 5-star hotel in India for less than USD 30*! 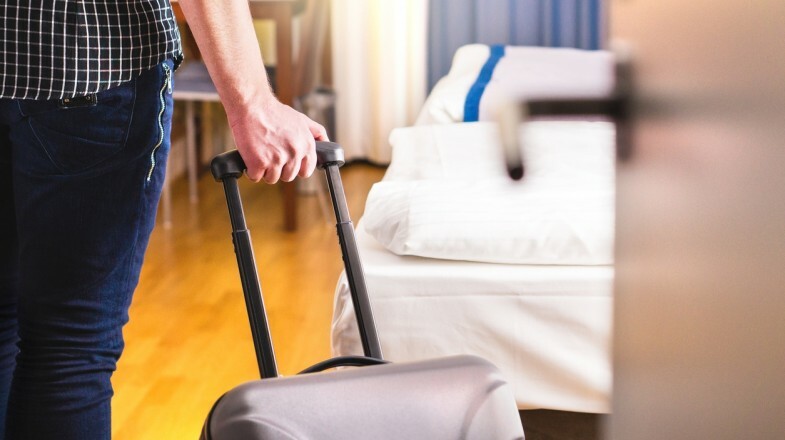 While cheaper rooms are often found further from the action, be sure to take into account travel costs and time getting into town before jumping on these seemingly great deals. Often, it works out better overall to book a slightly more expensive room in the heart of town! Don’t be afraid of backpacker hostels if you’re not a backpacker! Gone are the days of dingy dorms — many now offer lovely private rooms, great locations and incredible facilities at rock bottom prices. Sure, most trips go off without a hitch. But what if you’re that one in however many who has a problem abroad. Whether it’s the inconvenience of a lost phone or stolen passport, or a more serious medical emergency, having the right insurance is vital for both peace of mind and safety. This is one line on your budget where you don’t want to be pinching the pennies. Be sure to take out travel insurance for the whole of your trip, which covers all destinations you visit and activities that you join. Winter or adrenaline sports often require additional cover, so be sure to check ahead. If traveling with a lot of expensive kit, extra ‘gadget insurance' can provide extra peace of mind. Just remember to check precisely what is covered, and how much you will get if your gear is lost, damaged or stolen. Most policies will include generous cover for medical expenses, but make sure you choose a policy which includes at least USD 1 million of cover for medical repatriation. In a nutshell, this covers transportations costs if local hospitals are not up to speed and you need to get to a bigger or better hospital, fast — literally a life saver. Having planned out your dream trip, sorted out the nitty-gritty and begun the countdown to departure day, it's time to start thinking about what you will take on your epic adventure, and how you plan to carry it. These days, if you’re flying, there are stringent size and weight regulations to take into account, so be sure to plan and prepare well ahead of time. Where you're going, how you're getting there and what you plan to do are what will generally dictate what you pack — but the golden rule is definitely ‘less is more'. Nobody enjoys lugging a massive case across a train station in the small hours! Create a packing list in advance, and stick to it strictly. Don’t be tempted to add unnecessary bulk to your bag, but also don't skip the essentials such as sunscreen, insect repellent and essential medication. If going on an organised trip or tour, the organisers will often provide a useful list of essentials which makes an excellent basis for your own packing list. If in doubt, packing plenty of thin layers is a great way of covering all eventualities. Consider how you will transport your gear carefully. A small suitcase is great if flying on a city break with hand luggage only, while a backpack is more practical for road trips as the can be squashed into tight spaces! 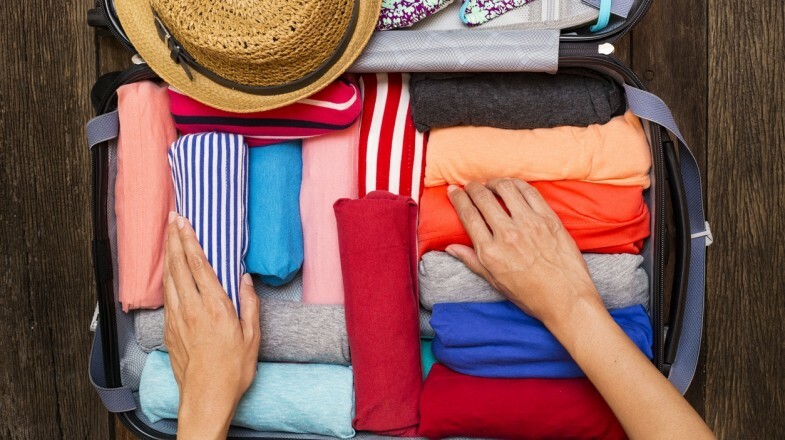 Also check out our Travel Packing Hacks and Tips article for more. While it may seem that planning a trip is suddenly a whole load of hassle, 99% of the jobs are actually great fun and invaluable experience — consider it a mini exercise in project management that culminates in a trip of a lifetime. So get organised, follow a few simple steps and prepare for your next amazing adventure with some of Bookmundi’s tips on how to plan your next trip!